A young boy and girl are given a camera and a notebook to take pictures and write memories of their summer vacation. The pictures don’t quite turn out and they realize that the best pictures are those they can see in their minds. 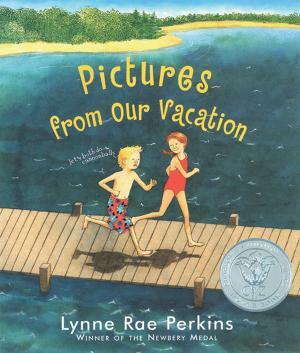 This book could be a great read aloud to get kids thinking about the memories of their own summer vacation. Prior to reading aloud, ask students to bring in photos from their summer vacation. Lesson Idea: After reading aloud, have students paste their photos in their writer’s notebook and write about the memory. After reading aloud, discuss with students how the best pictures are often the ones we can see in our minds. For a lesson in visualization, ask students to visualize some memories from their summer vacation. Students can list their summer memories in their writer’s notebook and then choose one to elaborate on.